*Estate agents fees will be paid by us on completion of your purchase of a new Inland Homes property. ** A holding fee will be taken at this stage which will make up part of your reservation deposit. 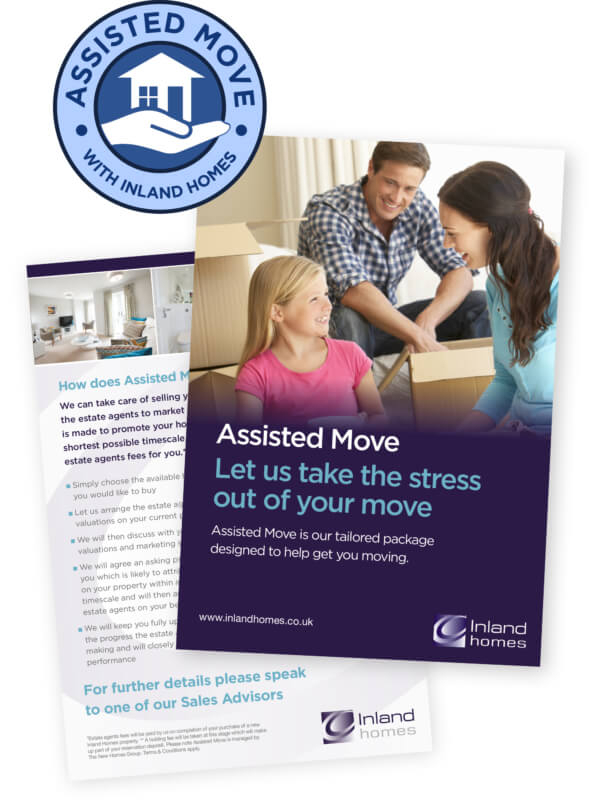 Please note Assisted Move is managed by The New Homes Group. Terms & Conditions apply.